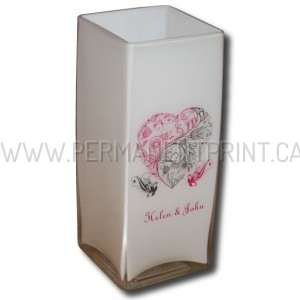 Permanent Print is glad to offer direct printing on plastic. We print full color and white ink. Plastic cards are printed on request, so we can produce as many cards as you need: 50 or 100 pieces – not a problem. 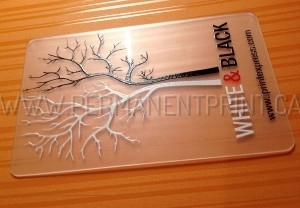 THIS CARD IS PRINTED ON FROSTED PLASTIC WITH COMBINATION OF WHITE AND BLACK INK. WE CAN PERSONALIZE EACH CARD IN YOUR ORDER WITH DIFFERENT NAME. Welcome to view our own creative business card. 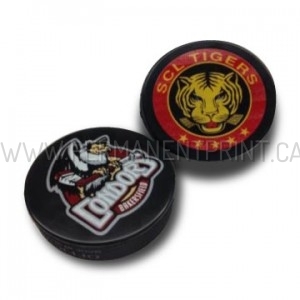 We have combined few different printing technologies in it. Offset printing for highest picture quality. Unrealistic butterfly is highlighted with spot gloss effect. And finally we have added the text in full color raised print. 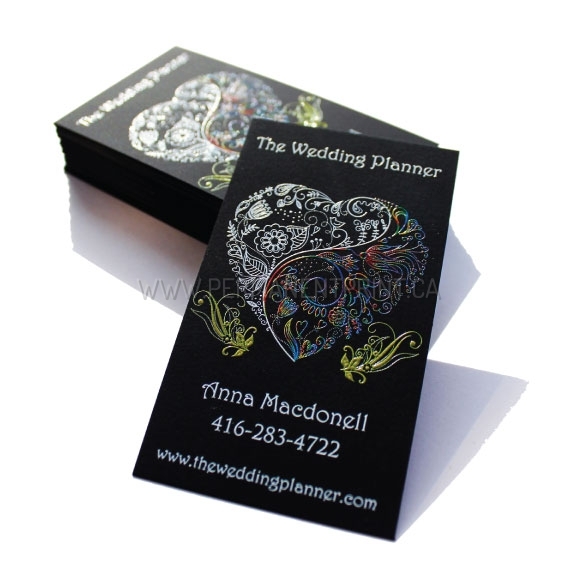 BLACK MATTE BUSINESS CARDS WITH SPOT GLOSS ON BUTTERFLY. FULL COLOR RAISED PRINT FOR TEXT. Want to make your business card to stand out above the crowd? Permanent Print is here to help you. 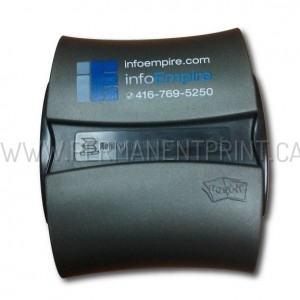 With our unique full color and white ink printing – we print directly on black or any other color of paper. FULL COLOR AND WHITE INK RAISED PRINTING. 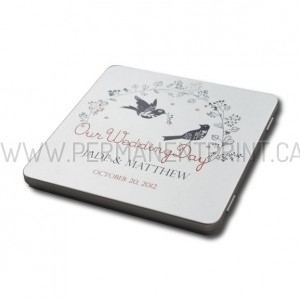 Go Creative with Permanent Print Exclusive Full Color raised printing. We make creative business card like others do regular print. 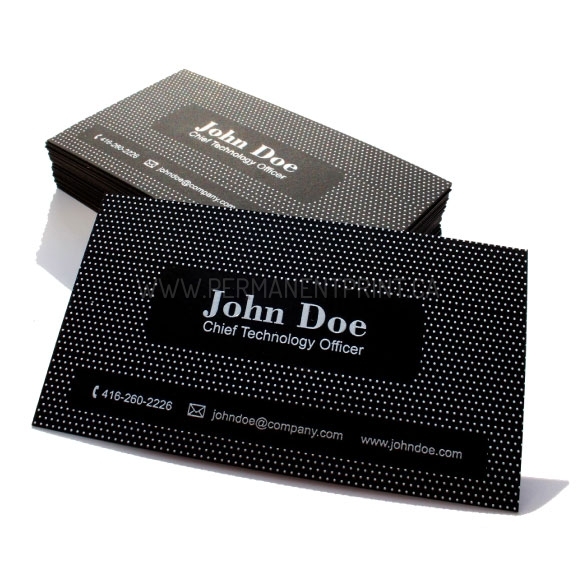 In combination with black matte paper your business card will truly look unique. RAISED PRINT ON MATTE PAPER. LARGE FULL COLOR AREAS CREATE BEAUTIFUL SPOT GLOSS EFFECT. WITH FULL COLOR RAISED PRINTING WE PRINT ON PAPER OF ANY COLOR OR TEXTURE. 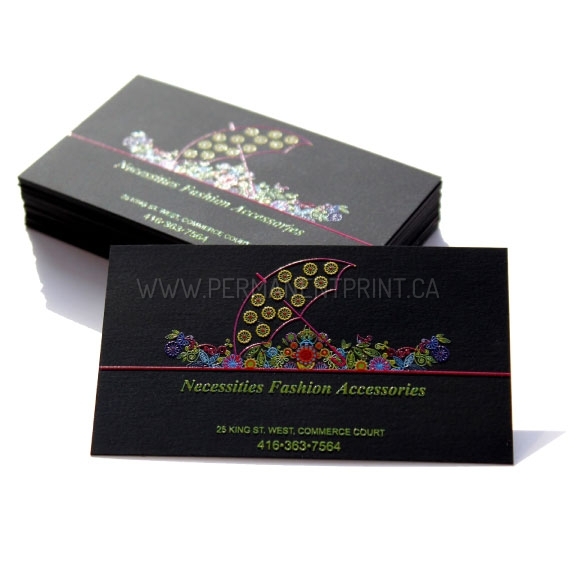 Utilizing our direct raised in technology, we are proud to present textured business cards design and printing. Full color raised printing on black paper allow us to create unforgettable business cards or other print pieces. WITH DIRECT PRINTING WE CAN CREATE UNIQUE TEXTURES FOR BUSINESS CARDS. 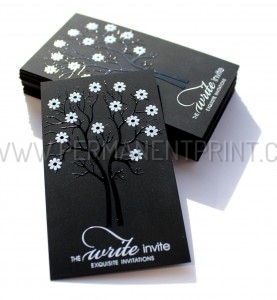 WHITE RAISED DOTS PRINTED ON THE FRONT OF THE CARD CREATE ROUGH TEXTURE . 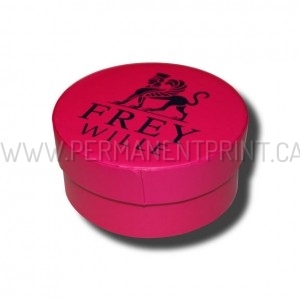 Exclusively at Permanent Print, Full Color Raised Ink is now available. 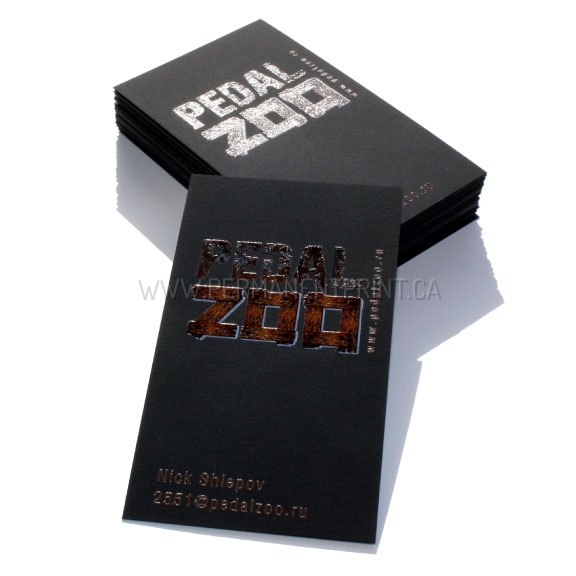 Combined with any color or textured paper – create stunning effect to make your business card stand out. 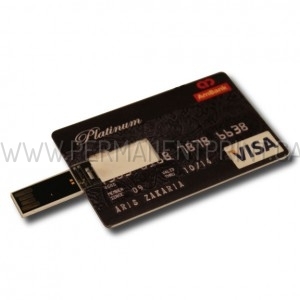 There is no minimum order, we can print 10, 50 or 100 business cards. PRINTED ON MATTE BLACK CARD STOCK. UNIQUE GLOSS EFFECT ON MATTE BLACK PAPER. 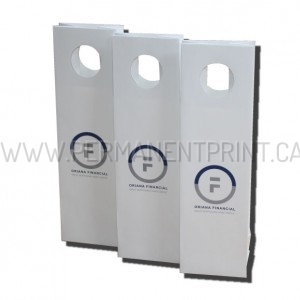 Thanks to our direct raise white and full color printing we print directly on black or any other color paper. Creative raised White and Black ink printing created unique effect. Printed on black business cards will really make your name to stand out above others. ELEGANT BLACK & WHITE BUSINESS CARD. GLOSS BLACK & WHITE RAISED PRINTING ON MATTE BLACK PAPER CREATES STUNNING EFFECT. WE PRINT ON ANY PAPER THICKNESS, TEXTURE OR COLOR.